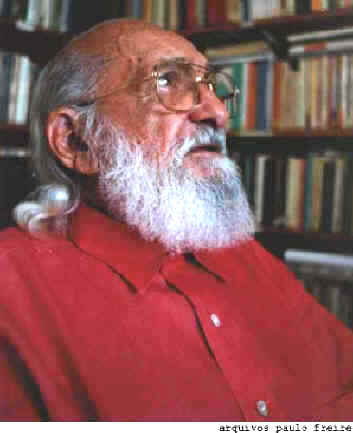 With regard to the purposes of education, Paulo Freire was one of the most important and influential writers during the last century. He exposed the repressive agenda of most conventional education, and he advocated for methods that made the education of both adults and children a liberating experience. In the except below, from the second chapter of “Pedagogy of the Oppressed,” Freire points out the deficiencies of what he calls the “banking” concept of education. “Pedagogy of the Oppressed” is written from an existentialist point of view and makes an important contribution to the philosophy of education. A careful analysis of the teacher-student relationship at any level, inside or outside the school, reveals its fundamentally narrative character. This relationship involves a narrating Subject (the teacher) and patient listening objects (the students). The contents, whether values or empirical dimensions of reality, tend in the process of being narrated to become lifeless and petrified. Education is suffering from narration sickness. The teacher talks about reality as if it were motionless, static, compartmentalized, and predictable. Or else he expounds on a topic completely alien to the existential experience of the students. His task is to “fill” the students with the contents of his narration – contents which are detached from reality, disconnected from the totality that engendered them and could give them significance. Words are emptied of their concreteness and become a hollow, alienated, and alienating verbosity. Education thus becomes an act of depositing, in which the students are the depositories and the teacher is the depositor. Instead of communicating, the teacher issues communiqu�s and makes deposits which the students patiently receive, memorize, and repeat. This is the “banking’ concept of education, in which the scope of action allowed to the students extends only as far as receiving, filing, and storing the deposits. They do, it is true, have the opportunity to become collectors or cataloguers of the things they store. But in the last analysis, it is the people themselves who are filed away through the lack of creativity, transformation, and knowledge in this (at best) misguided system. For apart from inquiry, apart from the praxis, individuals cannot be truly human. Knowledge emerges only through invention and re-invention, through the restless, impatient continuing, hopeful inquiry human beings pursue in the world, with the world, and with each other. In the banking concept of education, knowledge is a gift bestowed by those who consider themselves knowledgeable upon those whom they consider to know nothing. Projecting an absolute ignorance onto others, a characteristic of the ideology of oppression, negates education and knowledge as processes of inquiry. 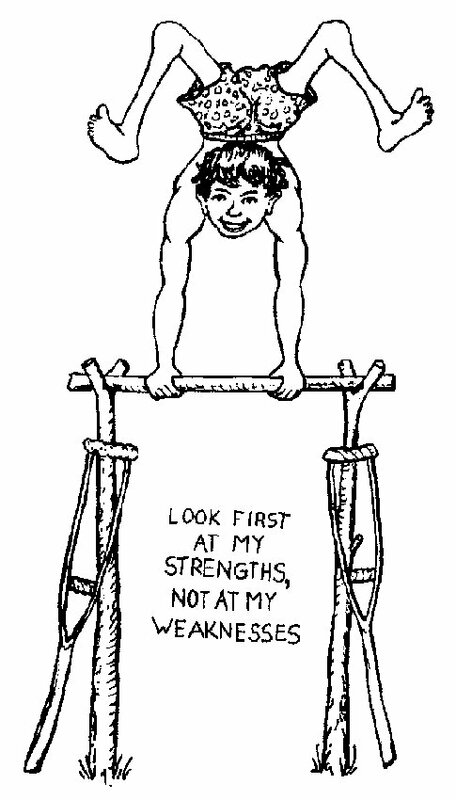 The teacher presents himself to his students as their necessary opposite; by considering their ignorance absolute, he justifies his own existence. The students, alienated like the slave in the Hegelian dialectic, accept their ignorance as justifying the teachers existence – but unlike the slave, they never discover that they educate the teacher. The raison d’�tre of libertarian education, on the other hand, lies in its drive towards reconciliation. Education must begin with the solution of the teacher-student contradiction, by reconciling the poles of the contradiction so that both are simultaneously teachers and students. It is not surprising that the banking concept of education regards men as adaptable, manageable beings. The more students work at storing the deposits entrusted to them, the less they develop the critical consciousness which would result from their intervention in the world as transformers of that world. The more completely they accept the passive role imposed on them, the more they tend simply to adapt to the world as it is and to the fragmented view of reality deposited in them. The capability of banking education to minimize or annul the student’s creative power and to stimulate their credulity serves the interests of the oppressors, who care neither to have the world revealed nor to see it transformed. The oppressors use their “humanitarianism” to preserve a profitable situation. Thus they react almost instinctively against any experiment in education which stimulates the critical faculties and is not content with a partial view of reality always seeks out the ties which link one point to another and one problem to another. The banking approach to adult education, for example, will never propose to students that they critically consider reality. It will deal instead with such vital questions as whether Roger gave green grass to the goat, and insist upon the importance of learning that, on the contrary, Roger gave green grass to the rabbit. The “humanism” of the banking approach masks the effort to turn women and men into automatons – the very negation of their ontological vocation to be more fully human.